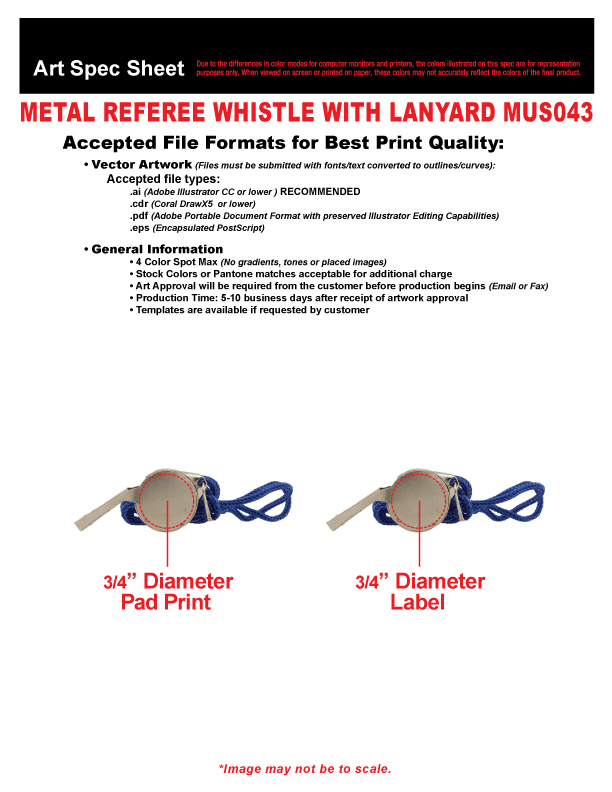 Quick Info: Call all the shots with our silver metal 1 3/4" whistles! Your company logo or name will look great on these metal whistles. Priced per whistle but please order in increments of 1 dozen. Call all the shots with our silver metal 1 3/4" whistles! Your company logo or name will look great on these metal whistles. Priced per whistle but please order in increments of 1 dozen.